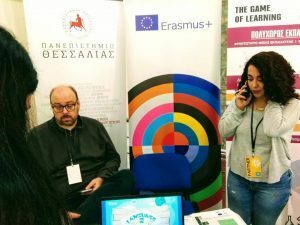 The Thessaly Science Festival was organized by the University of Thessaly for celebrating the 30 years since its inception. The event was attended over 2 days by more than 1.500 school children in the mornings, while more individuals attended in the evenings and on Saturday. The ALIEN project was promoted to the participants of the event, project objectives were discussed, and leaflets were distributed.